What can be kind of unappealing about skin care is that there are so many different steps to doing it right: first we reach for the cleanser, followed by a toner, apply a bit of serum, layer on the moisturizer, dab on some eye cream... and I'm probably leaving some steps out. 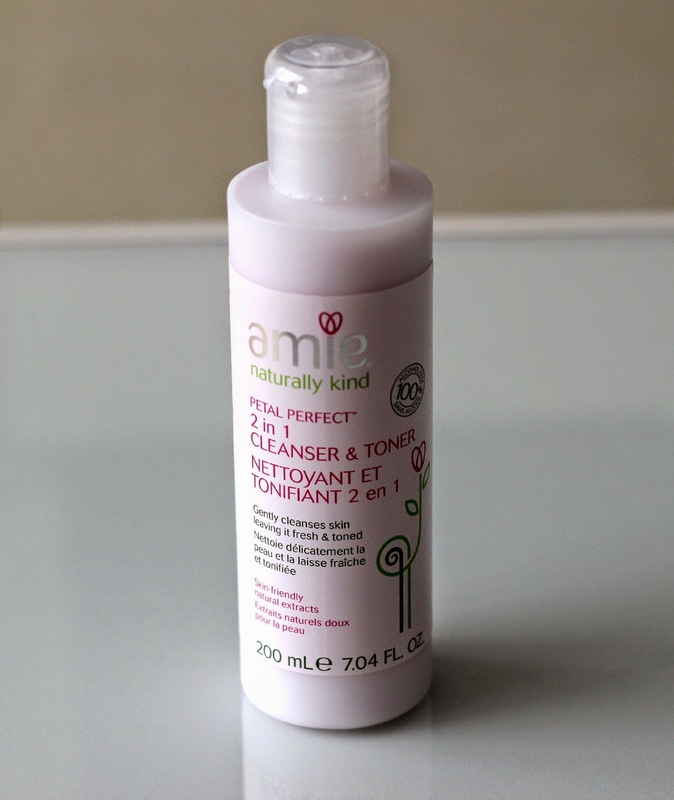 I'm always curious when companies come out with hybrid products meant to cut down on time spent on our skin care routine, so when I heard about Amie's Petal Perfect 2 in 1 Cleanser and Toner*, I was really eager to try it out and see how well it performed. I've tried a few other products from the line and was super impressed, so expectations were definitely high! The Amie Petal Perfect 2 in 1 Cleanser and Toner has a liquid-like texture with a bit of creaminess to it, which makes it easy to layer on and work into the skin. I've been using it every night to remove my facial makeup and it does a fabulous job at that. They suggest using a cotton pad to apply, but I've been enjoying using it with my bare hands and swirling the products into my skin. I will usually do this twice to make sure I have removed every last trace of makeup. What's great about Amie is that all of their products are affordable, vegan, and free of parabens, sulphates, alcohol, mineral oils and petrochemicals. This particular product contains stand out ingredients such as various flower and citrus fruit extracts. I am not a big fan of the scent of this particular product however as it smells quite synthetic and not as natural as I would have liked. It does contain perfume which is where I assume this scent is coming from. 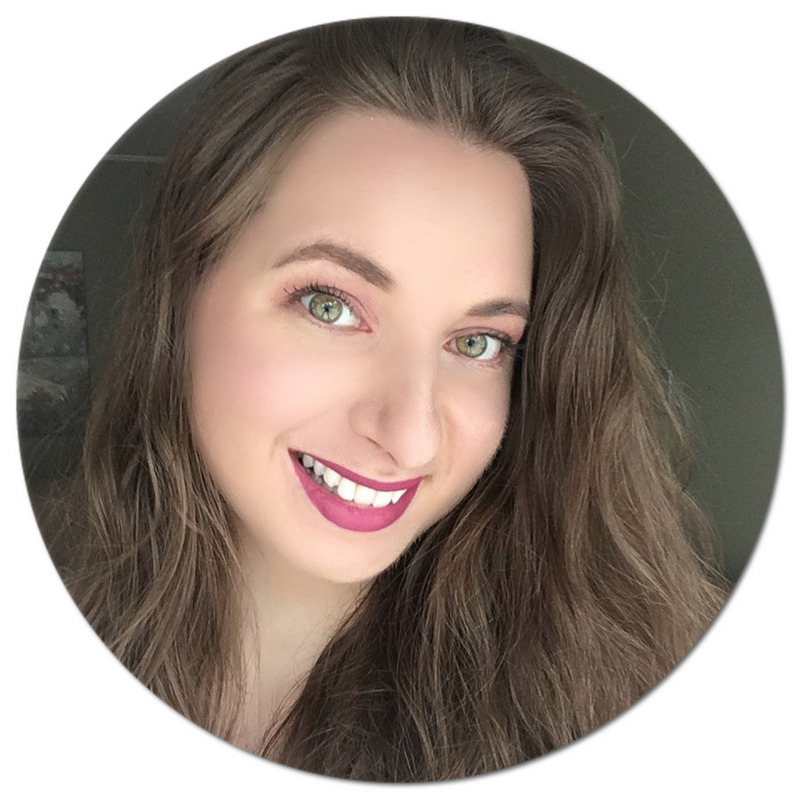 I was afraid it would feel stripping as well as most toners have that effect, but thankfully my skin has reacted positively and I have not dealt with any dryness or irritation. Overall, I think this is a great drugstore option for the price at just under $10 and you get a decent amount (200 ml) too. In Canada, you can find Amie at Shoppers Drug Mart and Pharmaprix. Have you heard of Amie? Any of their products caught your eye? Cleanser and Toner both in one, that's great! :) And it's pretty affordable too. Sounds like a good product for removing makeup. It looks awesome! Want to try it! It sounds great and the price for its quantity is more than amazing!! !Great product and i would love to try it!!! Looks really like a nie product.Thank you for sharing.